White wheel that serves as a decoration design on top of pedestal. 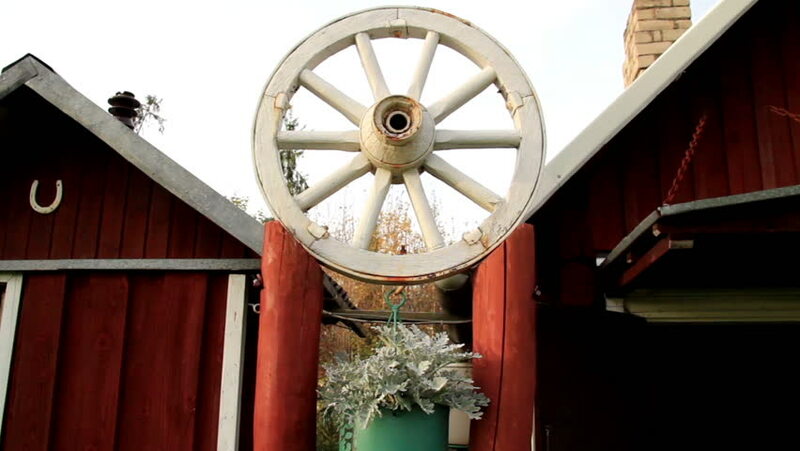 The white wheel design is found in between the two red cabin log houses logs. hd00:16FLORIDA - FEBRUARY 2015 - large-scale, epic Civil War 150th anniversary battlefield -- Cannons on original field of Battle, Georgia, the south. Monuments to Union and Confederate Veterans. hd00:16FLORIDA - FEBRUARY 2015 - Confederate Monument and Civil War battle monument on southern battlefield, with flags and flowers on 150th anniversary re-enactment. Cannons and memorial on park grounds. hd00:211950s: UNITED STATES: car with puncture. Flat tyre on vintage car. Man fixes wheel on car. Boy pumps up tyre by hand.